Interview: Mr. Koichi Maesako – A New Generation Of Sake Brewer Obsessed With Fermentation – SakeTips! A generation shift is taking place in the sake industry. Breweries challenge themselves to try new things without ever fully sacrificing the traditions of the past. At one of these breweries, Ishikawa Brewery in Tokyo, Mr. Maesako, who has recently assumed the position of toji sat down for an interview with me. 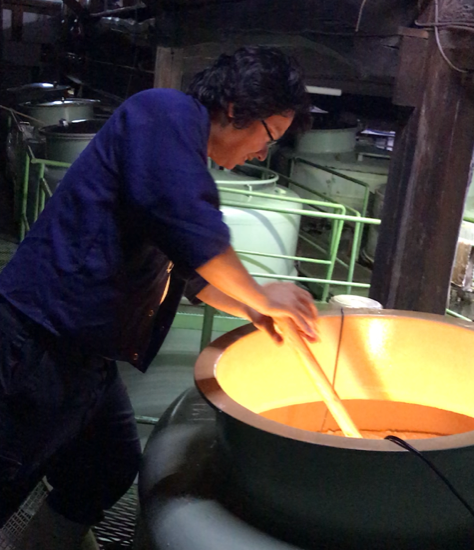 He is in love with fermentation and this love drives him to brew sake. When Mr. Maesako showed up, he was dressed in happi, a traditional Japanese livery. My first impression of him was that he was gentle and nice. It has been 3 years since he became toji at Ishikawa Brewery. 34 years old, he has dedicated himself to the sake brewery at Ishikawa Brewery for the last 10-odd years. His first encounter with fermentation was a class in a high school while studying food science to become a pastry chef. He was naively shocked by the fact that sake is made of sugar and yeast. He claims that it was at that moment that he made up his mind to become a sake brewer instead. After graduating from high school and while preparing for university entrance exams, he found a part time job at Ishikawa Brewery and applied. He has worked there ever since. Two summers ago, he was promoted to the position of toji , or head brewer. The president called Mr. Maesako and offered to make him toji. Mr. Maesako notes that he’d hesitated at first since the former toji had been almost twenty years his senior. But he accepted. His dream had always been to become a toji. He’d studied for it in university. His decade of service had prepared him for it. There was little reason to refuse. He is so addicted to fermentation that he calls himself a “fermentation enthusiast.” He says his head is full of fermentation. When it came to fermentation, Mr. Maesako spoke quickly and passionately. That gleam in his eye when he’s talking about his craft leaves a strong impression. Mr. Maesako has a clear picture for the future. He looks calm, but I felt the strong passion inside of him. Beyond the sake department, Ishikawa Brewery also has a beer department. The two often cooperate in everything from technology sharing to product collaborations. One such project was introduced in my last article: #mugipon, a liqueur collaboration blending malt and unprocessed sake. For Mr. Maesako, who is always searching for new things, Ishikawa Brewery with its beer department must be an exciting place to work for. “What kind of sake would you like to develop?” I asked to him. I was all ears, impressed and moved by his “funky” answer and was all ears. According to Mr. Maesako, Ishikawa Brewery’s sake is made for everyday drinking. It’s a “table sake” for everyday use but not for special occasions. It goes well with a variety of everyday Japanese, Chinese and even Western dishes. To my question about SAKE recommendations, he presented a sake made with apple acid. Ishikawa Brewery’s philosophy is: “Toji’ s challenge! 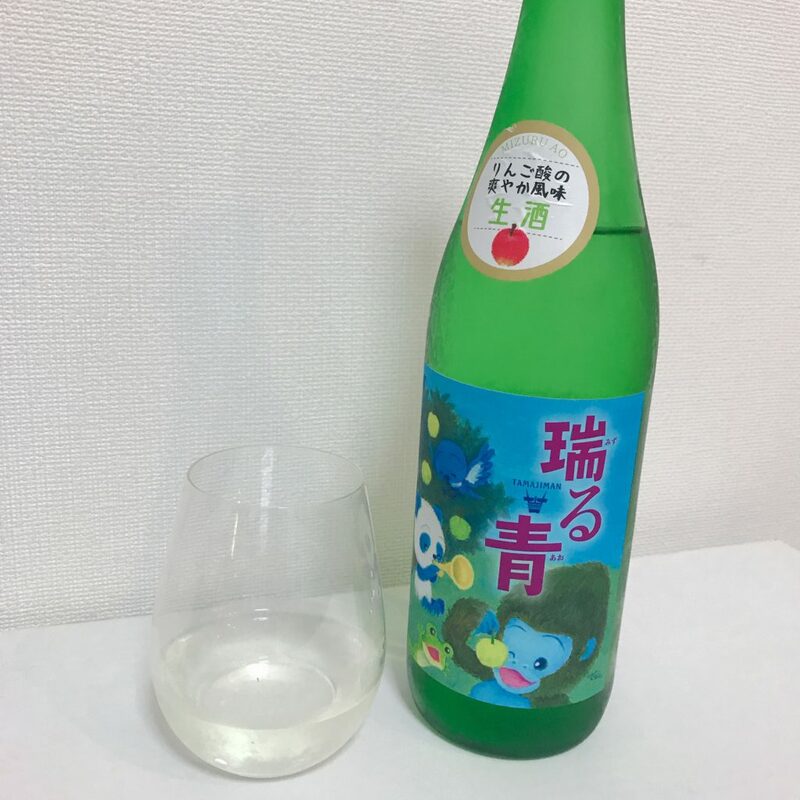 New taste of Tamajiman ‘the pride of Tama.’.” This is new type of sake exemplifies the kind of “funky” creation that Mr. Maesako is aiming for, a perfect expression of their new philosophy. 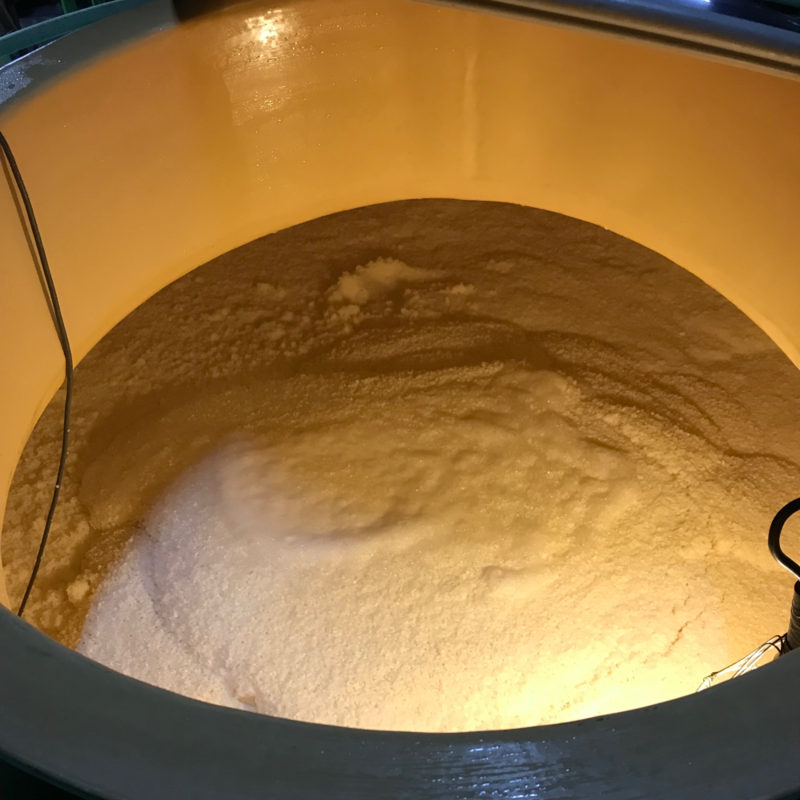 He has adapted a new yeast which generates lots of apple acid in an attempt to develop a new taste completely unique to existing sake. I bought and tasted it at home. This sake has a soothing rice aroma with a fruity apply accent. When I took a sip, its refreshing taste spread throughout my mouth, and a mellow rice flavor lingered for a time after . Its acidic taste is admittedly addictive. Once I started drinking it, I felt like drinking more and more. I also like the cute illustrations of the bottle labels that look like a picture book. These illustrations serve to soften the hard image of sake. The series of sake using apple acid goes so far as to weave a story with these special labels. Mr. Maesako happily proclaims that he would like to challenge different types of sake in following with the new tradition of Ishikawa Brewery. His challenge will continue forever and ever. 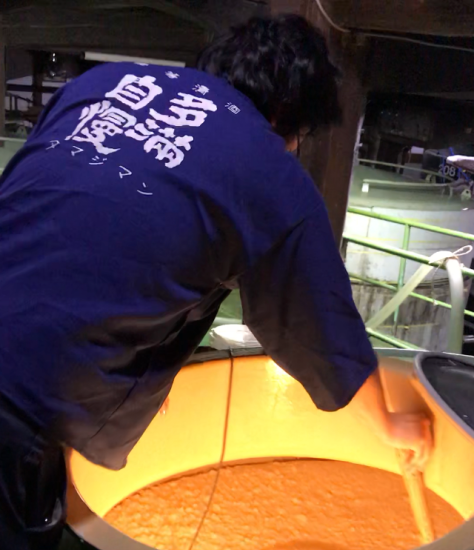 During the interview, I had a chance to watch the mash fermentation process. They had just started this process the previous day, and the mash was at peak fermentation. Although I don’t know much about fermentation, I was impressed by the sight of it and was reminded that sake is a sort of living thing. He mixed the mush with a paddle saying, “I may be over-fermenting this a little.” The focus on his face was completely at odds with the jolly man who’d sat with me for an interview. It was the look of a craftsman. It was humbling, almost sacred. “This guy is so interesting!” I thought and at that moment started to like him. The more you learn about a brewer’s passion for sake, the more fascinated in it you become. I’ll come back here when the sake that I mixed with a paddle is ready. Ishikawa Brewery is an attractive place that you will want to come back to many times. I believe that the combination of its long history and the new essence that its young toji brings to it come together to create this uniquely fascinating brewery.